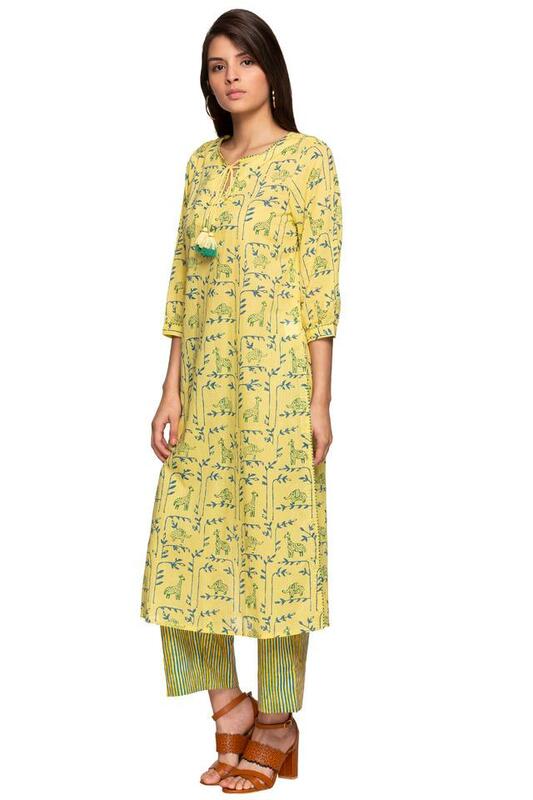 Fetch compliments for your choice by wearing this kurta and palazzo set presented to you by Global Desi. 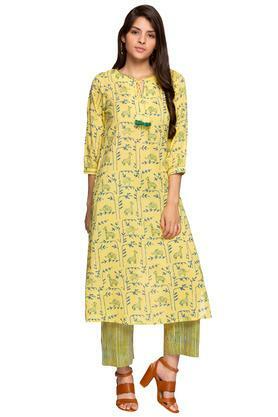 It includes a trendy kurta that flaunts a tie up neck. Besides, the pair of palazzo pants flaunt a stripe pattern, which makes an amazing contrast. 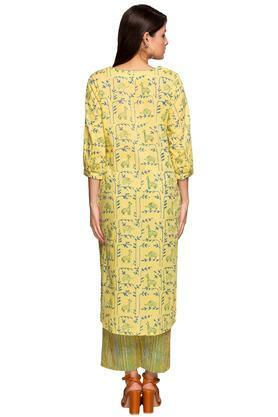 On the other hand, it has been made of fine quality fabric to ensure daylong comfort.